A Free VPN client is the best way to access a blocked or restricted site in your office. There are proxy sites also but mostly proxy sites are unreliable. With VPN it become very easy and fast to access a blocked website. You just need to install free VPN clients software on your system and you can browse any website. They are not easy to track. VPN means virtual private network. It uses Internet to provide remote individuals or offices secure access to their network. As VPN client assigns individual an IP of VPN in located in their area. With that ip Address you can surf websites that not even allowed in your country. 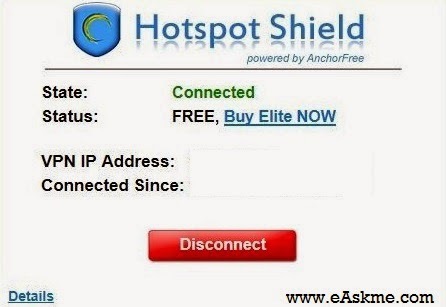 HotSpot Shield is one of the best and free VPN service. You can download and start using it. Select Server and then connect. Open VPN is very good VPN client. This is free to download and open almost all blocked websites. You just need to create account on OpenVPN to access OPenVPN network. Now you can click on service and then connect. Ultra VPN is simple and good VPN client. Download and create username and password to access it for free. It allow you to even configure proxy settings so you can access most of blocked websites in your area. Your-Freedom requires you to create a free account to access its services. It just take 5 minutes. After getting username and password, log in to client and get your IP assigned. So these are the best free VPN clients. If you want to access blocked websites in your area these works the best. Try them and do share which one you like. If you like this post do share on facebook and twitter.